Sorry we do not offer a “free valuation service” to unknowns. We are always happy to give any advice necessary to those past customers already on our mailing list. 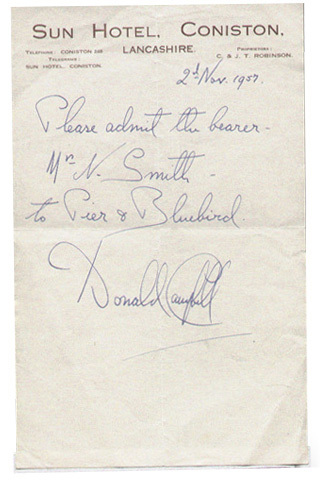 We have always in the past been generous with our time in helping the general autograph collecting community. However, very much in line with many other professional dealers, we have recently felt this goodwill has somewhat been taken advantage of without sufficient thanks and appreciation. We therefore can no longer guarantee to answer all questions or give free valuations or Advice to those people who have not bothered to read those sections on our website. 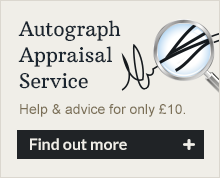 A full valuation and Autograph Appraisal & Advice Service can be purchased online for a small £10 pounds charge.